Based on the market-proven design of the LU-2210N-7 and -2260N-7 Series, the LU-2216N-7/-2266N-7 are developed with a longer distance from the machine arm to needle ... a full 650mm. 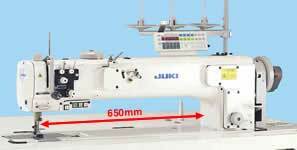 The long arm unison-feed lockstitch machine with a vertical-axis large hook with an automatic thread trimmer is best-suited to processes that require a longer distance from the machine arm to needle, such as reinforcement stitching and topstitching in tape attachment processes for sewing furniture or car seats. 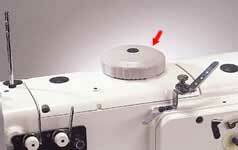 Both the LU-2216N-7 (1-needle) and LU-2266N-7 (2-needle) achieve the maximum sewing speed of 3,000rpm. 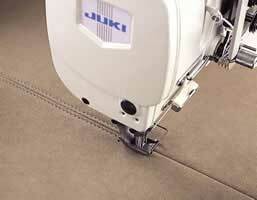 With this capability, the machine demonstrates higher productivity when sewing long lengths of materials. 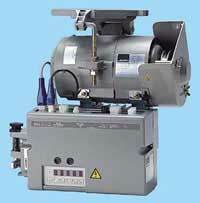 The machine adopts a fully automatic lubricating method. With fully automatic lubrication, the cumbersome task of oiling the machine by hand is eliminated.  Oil is forcedly circulated through the face plate by a plunger pump. This prevents oil leakage from the face plate. Some gauge used in the LU-2210N/-2260N Series. The gauge (hook, bobbin, walking foot, presser foot and feed) used in the LU-2210N/-2260N Series is also used in this model. 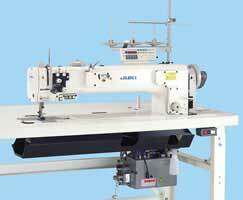 All of the parts used in your LU-2210N/-2260N sewing machines can also be used in the LU-2216N/-2266N machines. In addition, the knife and thread tension components are also the same. 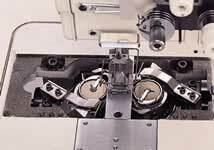 Consistent feed efficiency at higher sewing speeds. With its powerful feed and optimal feed locus, the machine smoothly feeds materials without stitch gathering even when running at a higher sewing speed. Longer distance from machine arm to needle. With the long distance from the machine arm to the center of the needle, a full 650mm, the machine is ideally suited to reinforcement stitching processes for attaching tape and intermediate sewing processes such as topstitching for large work pieces. 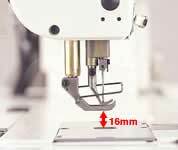 The presser foot lift is as high as 16mm. The presser foot goes up as high as 16mm. This ample lift ensures easy setting of heavy materials on the machine and comfortable operation. 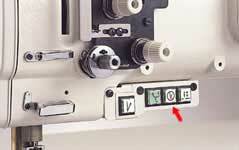 The sewing speed is automatically regulated based on the vertical stroke setting. This ensures ideal sewing conditions at all times. The standard machine lets the operator adjust the vertical stroke of the walking foot and presser foot (DL device). In processes such as the sewing of heavy materials or hard-to-feed multi-layered portions, a press on the DL switch instantly change over the vertical stroke of the walking foot and presser foot. The result is beautifully produced seams without stitch gathering. With the rigidly moving knife shaft and optimal knife movement, the thread trimmer cuts thick thread without error. Moreover, no adjustment is required even when the yarn count is changed.